Enjoy the thrill of a brand new vehicle. When you’ve found the luxury car of your dreams, the only thing that could sweeten the deal more is clear, hassle-free financing. 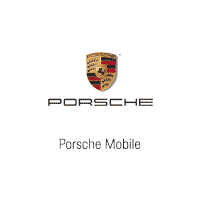 That’s where our team of experts comes in at Porsche Mobile. Applying for Porsche financing is fast, simple, and free at our finance center. Our on-site professionals walk you through the whole process of buying your car step by step from the time you start browsing until you sign on the dotted line. With access to competitive rates, you can find the personalized payment plan or lease that works best for you. While perusing our website, take a peek at the current Porsche vehicle offers in Mobile, AL, to help you get the most out of your purchase. Contact us at (251) 272-1412 for more information today.